Rustik Art by Rustikana is licensed under a Creative Commons Attribution-Non-Commercial-No Derivative Works 2.0 UK: England & Wales License. Based on a work at rustikana.blogspot.com. After a major computer crash that nearly wiped out the contents of my hard drive and much procrastinating, I have finally updated my blog. Its been a while since I found time to do anything graphically, and with a pinch of hope I will try to update a little more often. 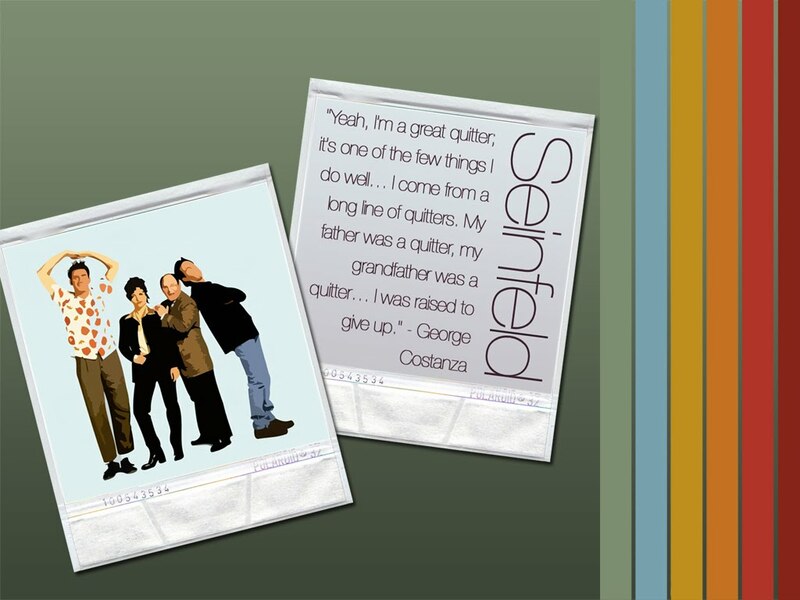 Here is a draft I put together for some Seinfeld wallpaper I have been working on. I want to put together a high-res wide screen version for myself. Seinfeld fitted the time perfectly and was a fab show, sorely missed. It's a really funny wallpaper! Cool! Hi Rustik! It´s so cool! A big hug from Rio de Janeiro. I´ll folloy you on Twitter, O.K ? Thanks for stopping by guys, and for the cool comments. Lau Milesi, of course, I would love you to follow me on twitter, thanks for the follow. Thanks for viewing my blog. I enjoyed your posts!